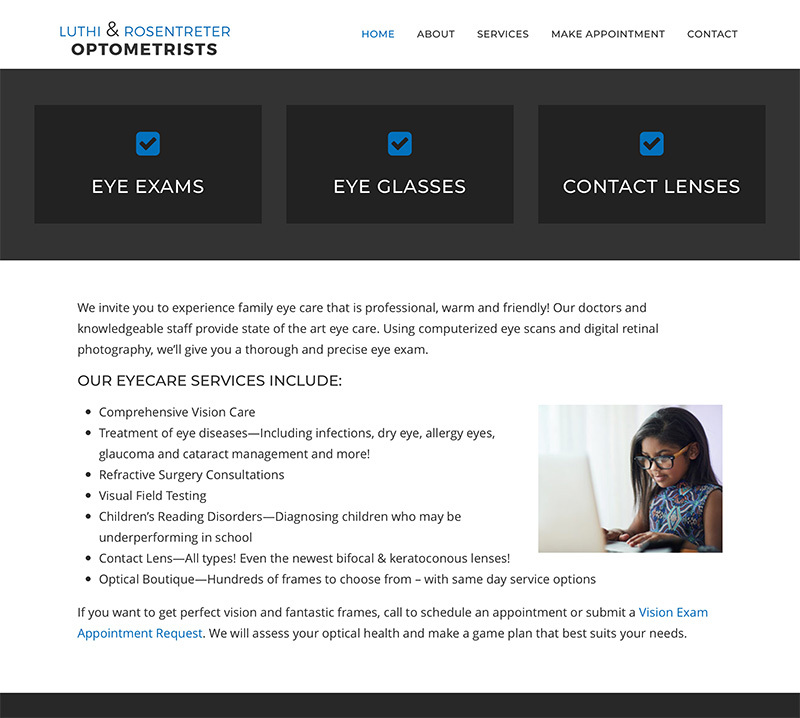 The original Eyecare 20/20 website was setup as part of a package deal with a local online directory service. It was extraordinarily expensive, difficult to customize and update, and offered few options for SEO. Once I explained the benefits of Wordpress and how affordable site development and post-launch maintenance can be, it was obviously a better choice for this practice. Monthly fees for the new website are only for hosting and minimal plugin/theme updates. 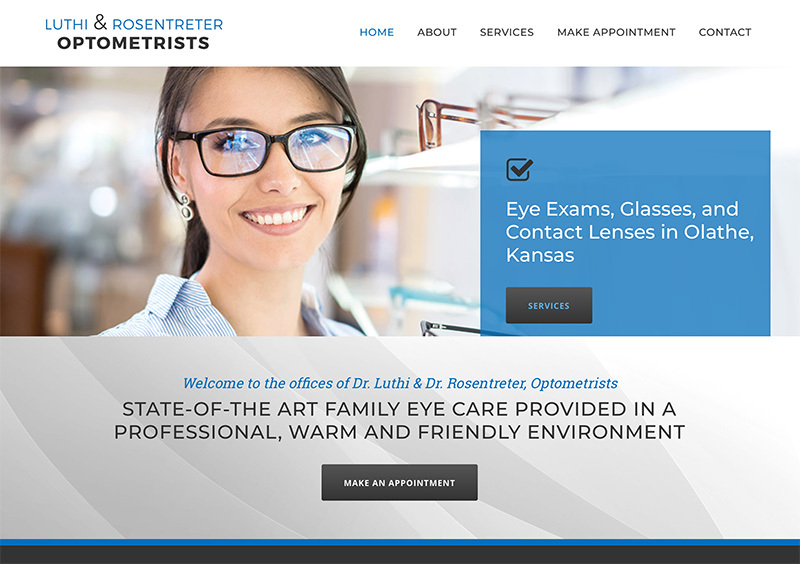 The practice ended up with an updated website that also saves them hundreds of dollars per month! Please reach out by email if you would like to discuss your project!